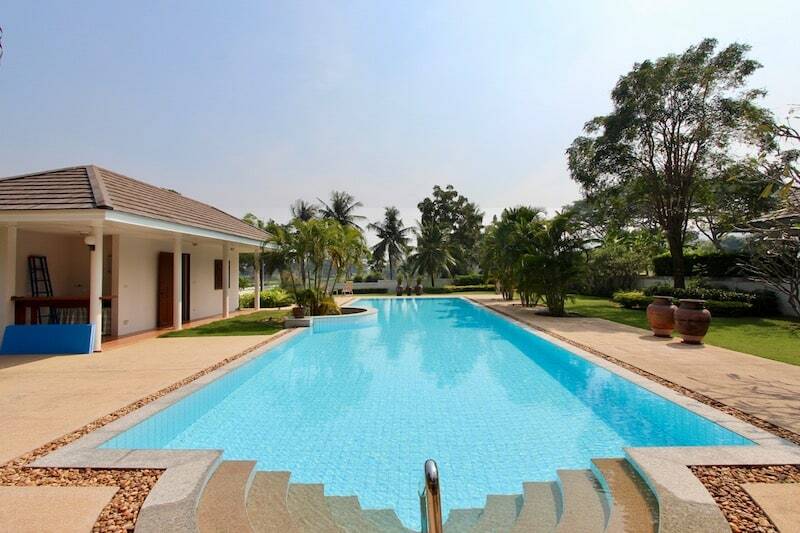 This is a beautiful property on an impressive 2,400 square meters of land and 559 square meters of living area overlooking the 7th fairway with gorgeous golf course and nearby mountain views. 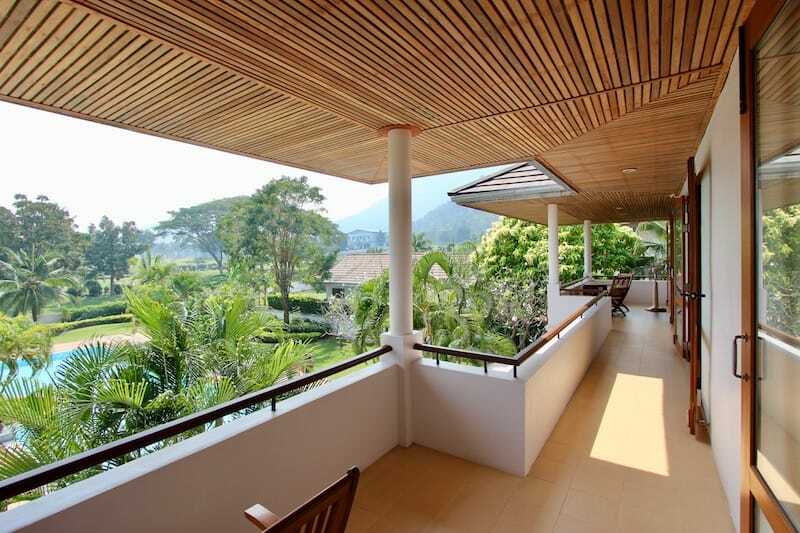 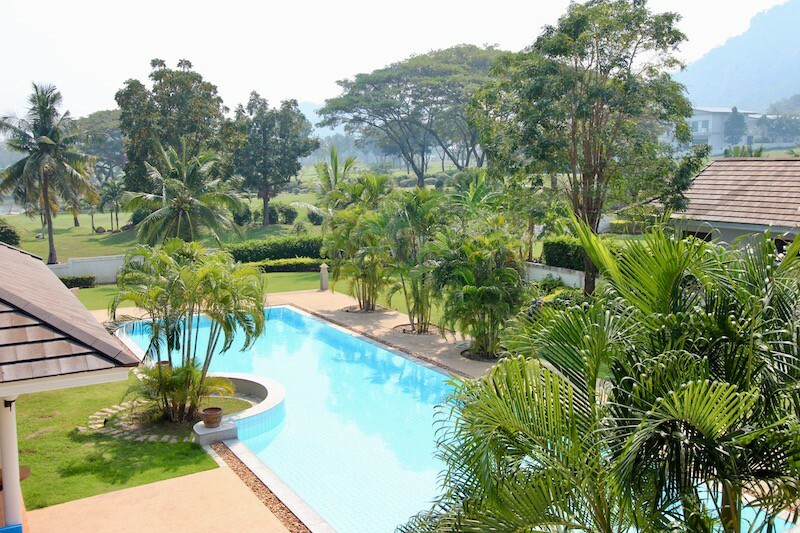 From the upstairs balcony, the views of the swimming pool, the golf course and the mountains are positively stunning. 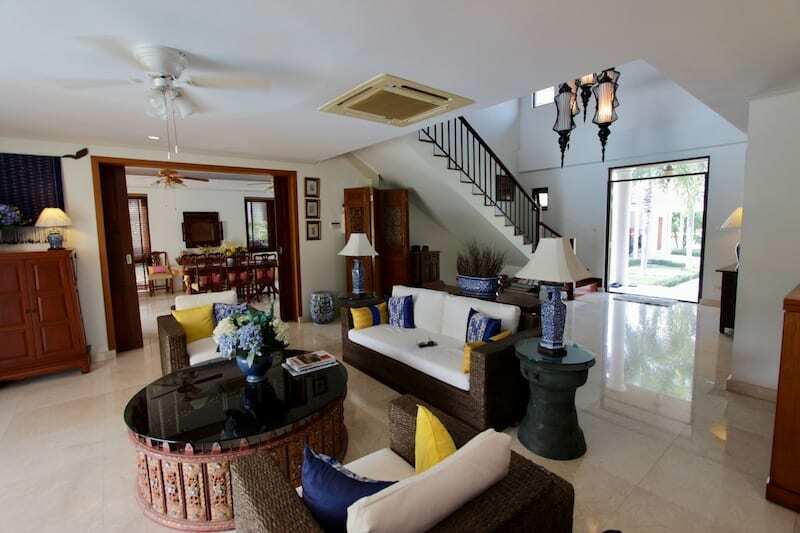 Upon entering the home, one is immediately drawn to the high ceilings and the statement chandelier, which adds a tropical feel and proportionate scale to the home. 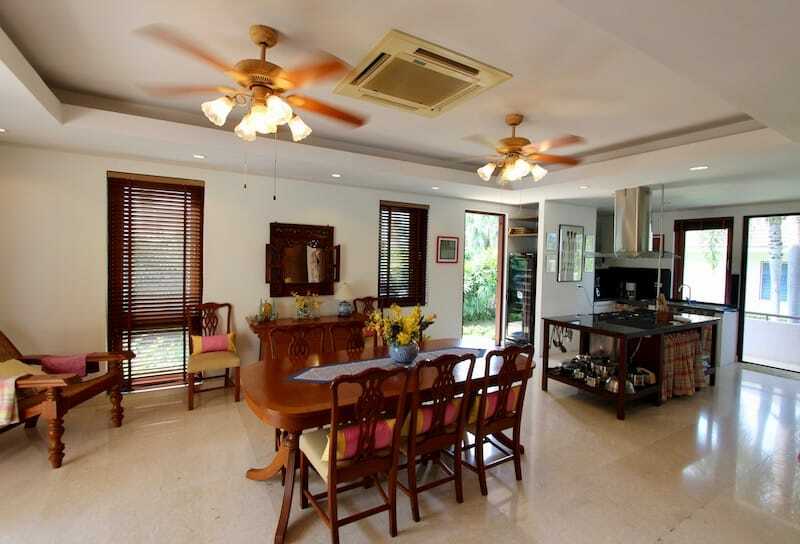 The high ceilings and the well-designed floor plan (allowing for a strong cross-breeze) help keep the house cool, which is essential in the tropics. 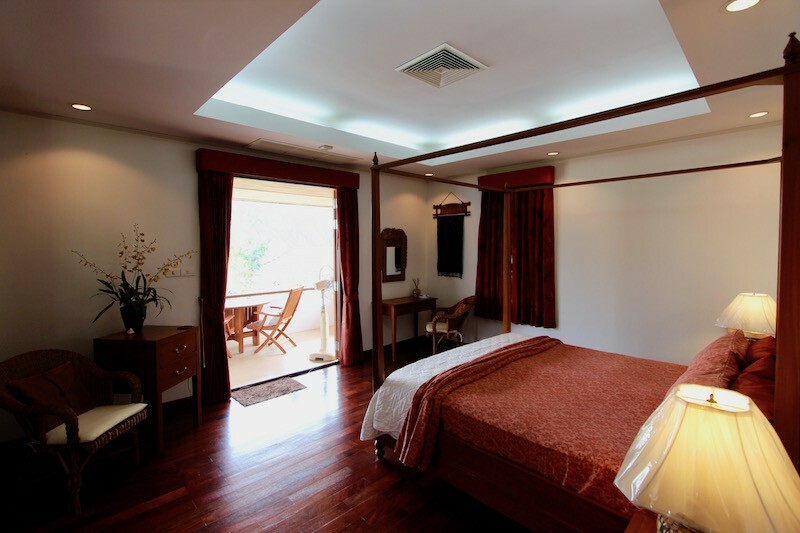 The home is constructed to a very high quality, and has been maintained impeccably and upgraded significantly from its original standard. 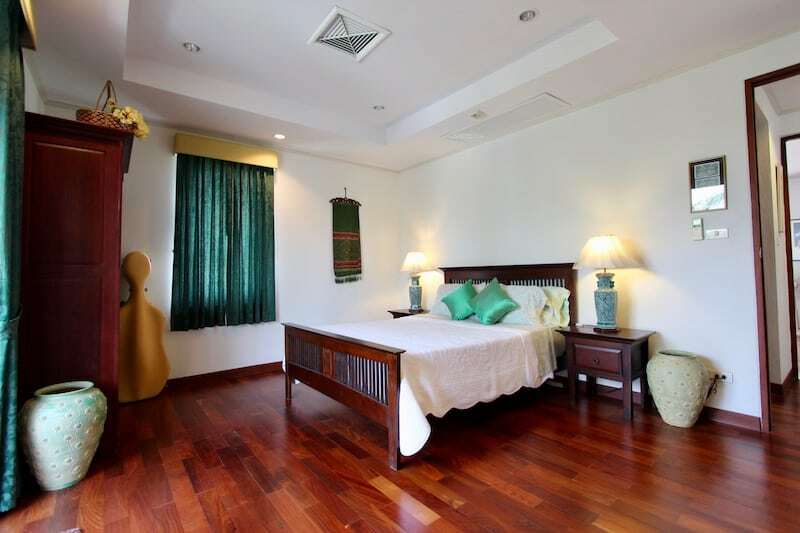 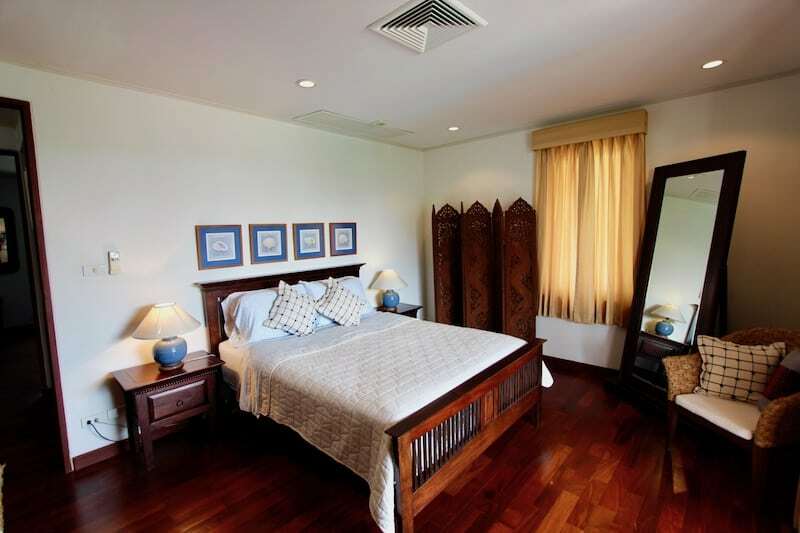 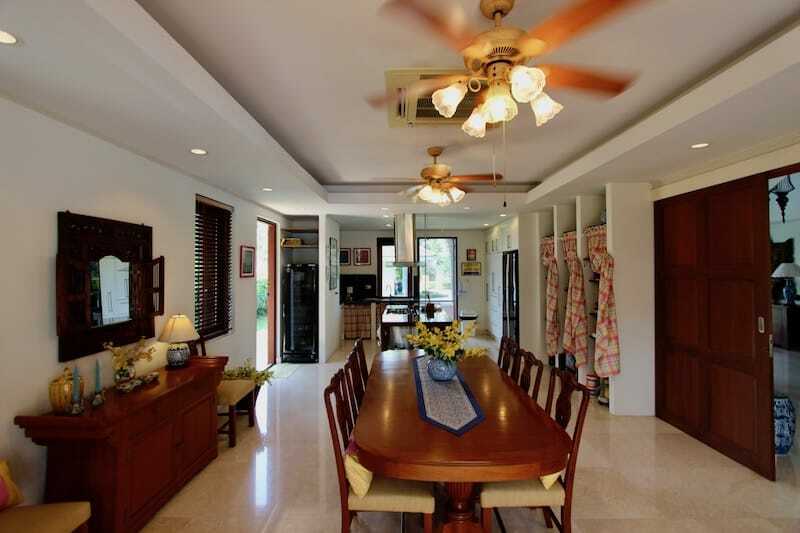 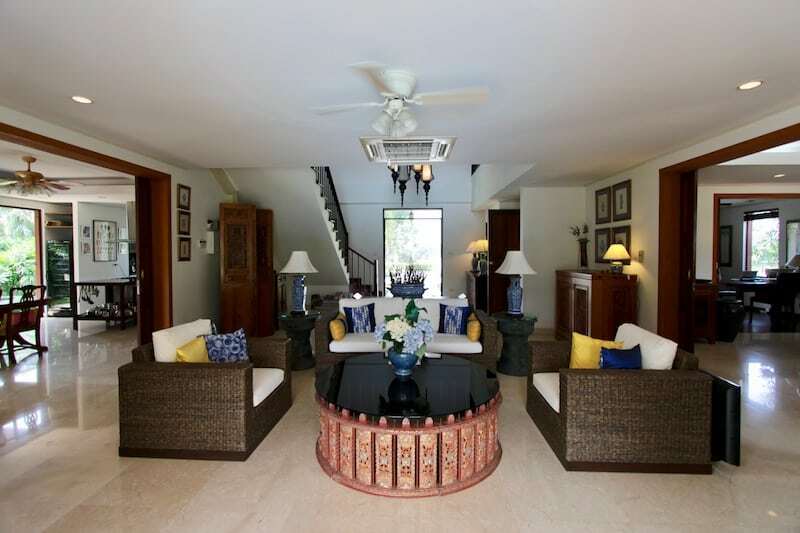 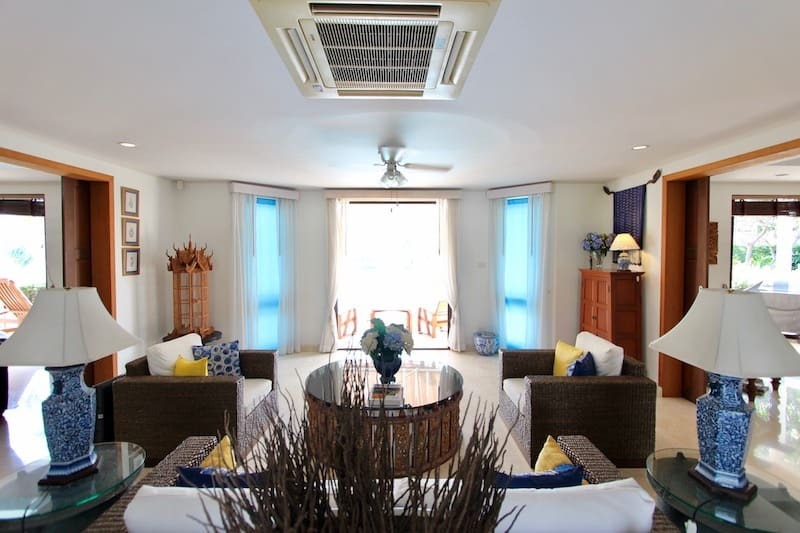 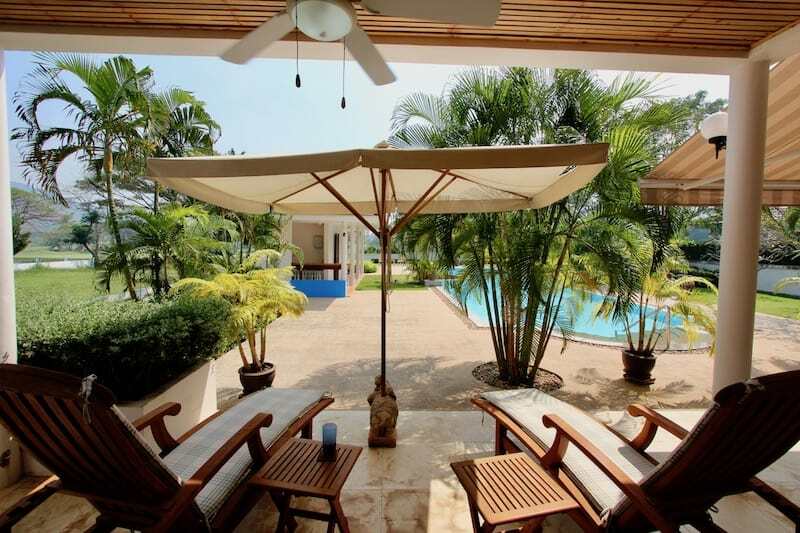 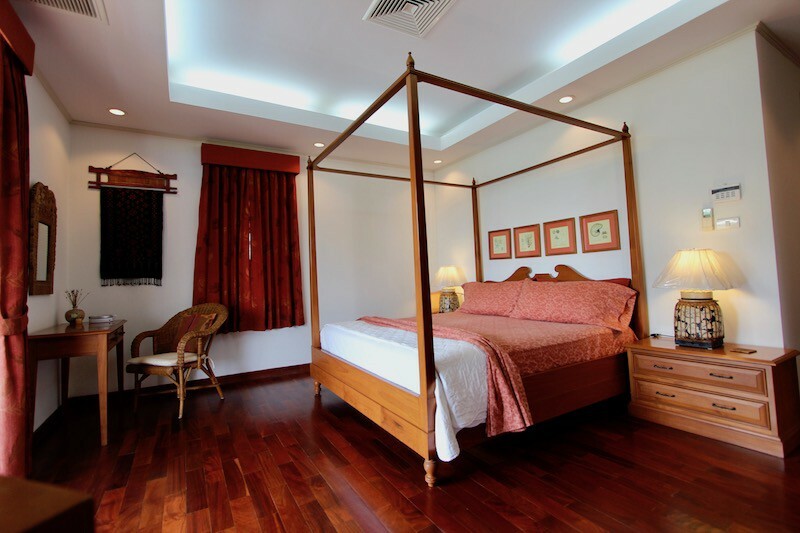 The property is sold fully furnished with beautiful furniture that enhances the classical tropical style of the home. 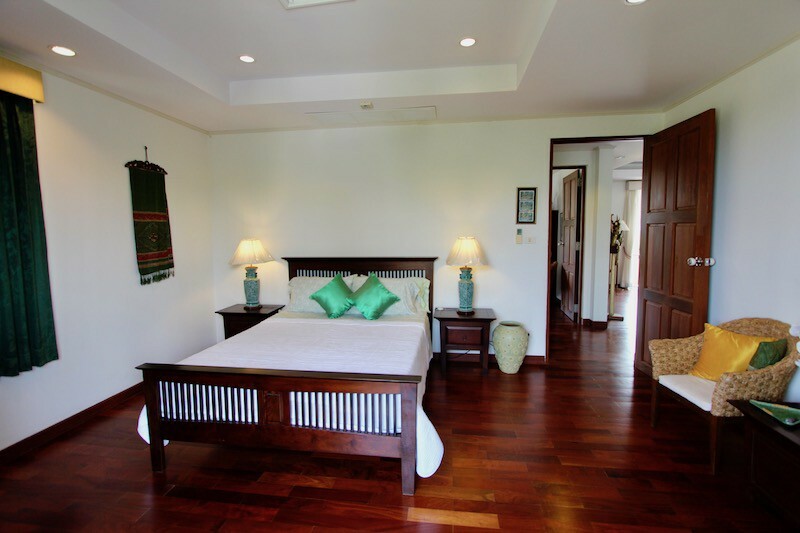 The main house consists of 3 spacious bedrooms, the 2 guest bedrooms sharing a full bathroom, and each with great views. 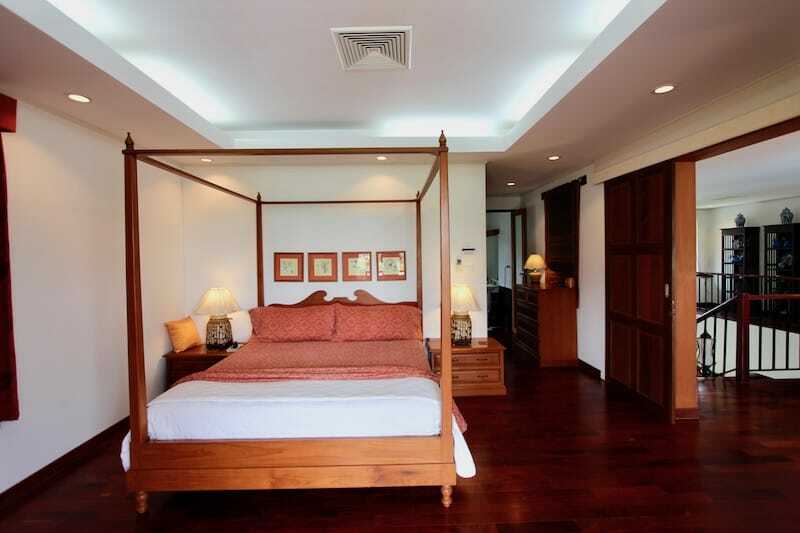 The master suite occupies a private wing and has an unparalleled view from its private balcony. 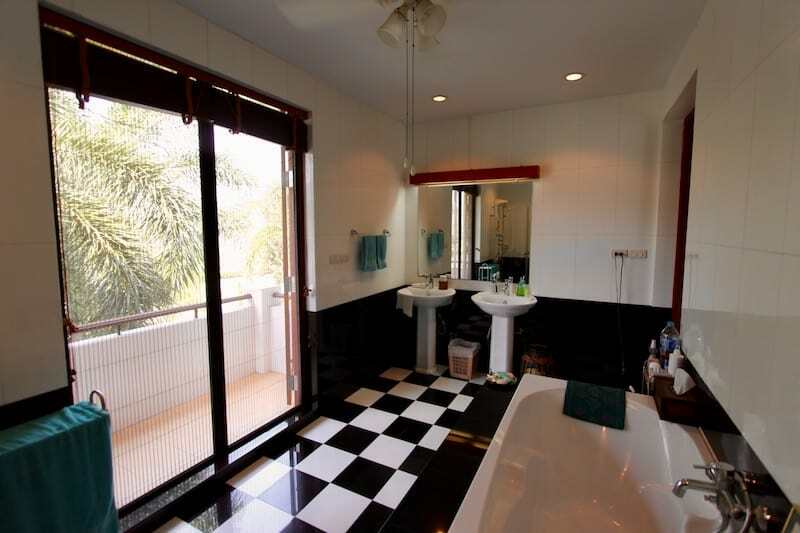 There is also a very large walk-in closet (2.5 m x 3.4 m) with built-in shelves and an en-suite bathroom with granite floors, double sinks, a bathtub and a separate shower. 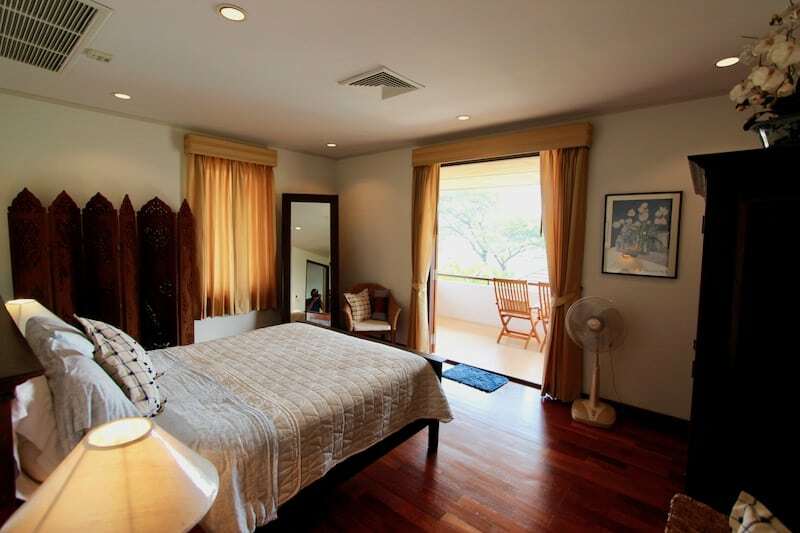 All the bedrooms (plus the office) have beautiful hardwood floors and French doors leading onto the balconies. 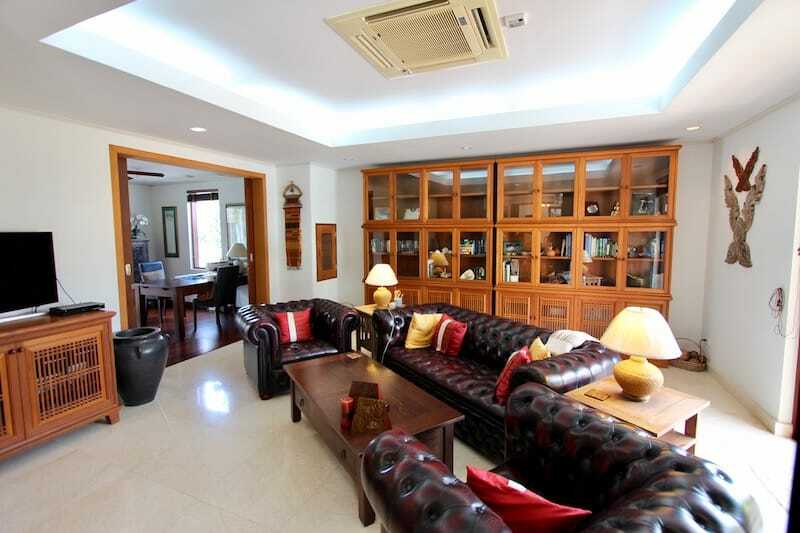 Downstairs is a large living room, a dining room and kitchen, an office (with en-suite bathroom–could be a 4th bedroom), and a library/media room with built-in shelves. 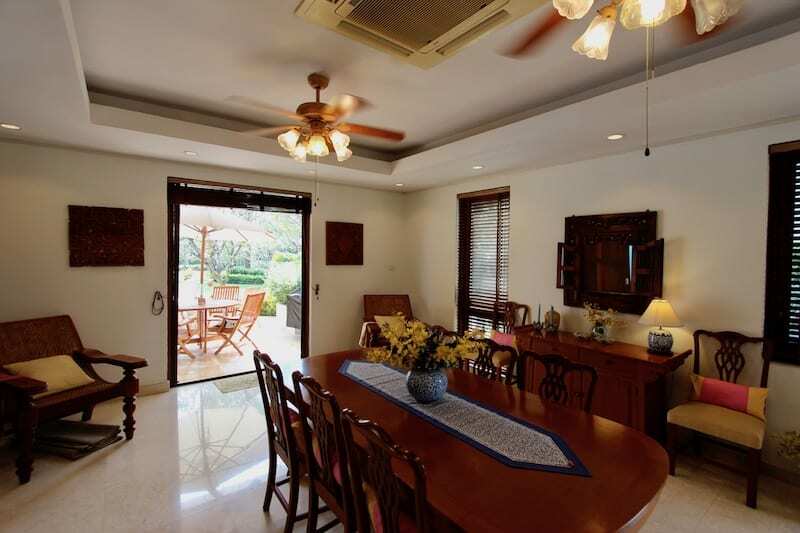 The living room opens onto the covered terrace area, which has retractable awnings to provide shade and extend the comfortable outdoor living area. 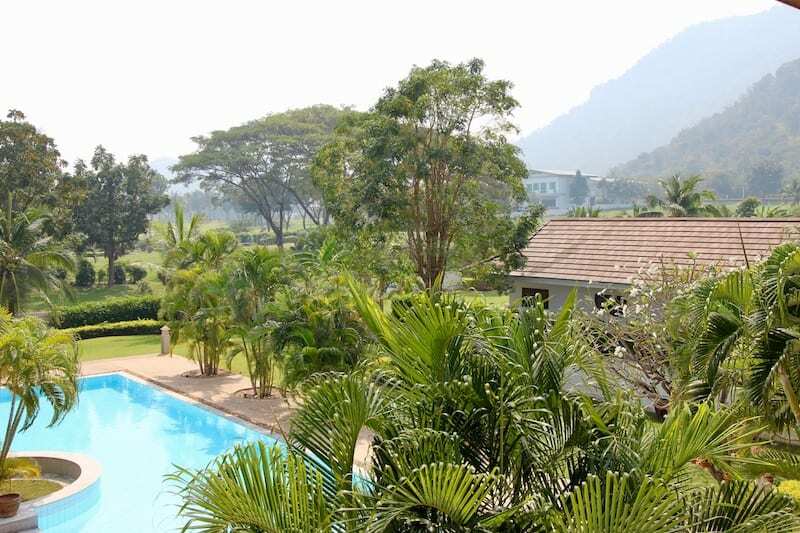 The salt water swimming pool is an impressive 20 m x 6 m, and the equipment has been renewed with 2 new chlorinators and pumps, plus new tile and grout throughout. 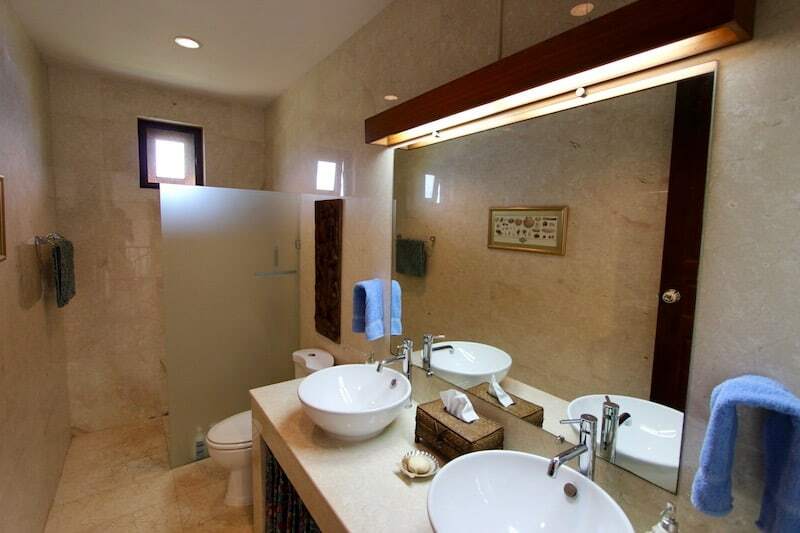 The property also includes a separate maid’s room, laundry room and storage area, plus an outdoor bar by the pool and pool toilet. 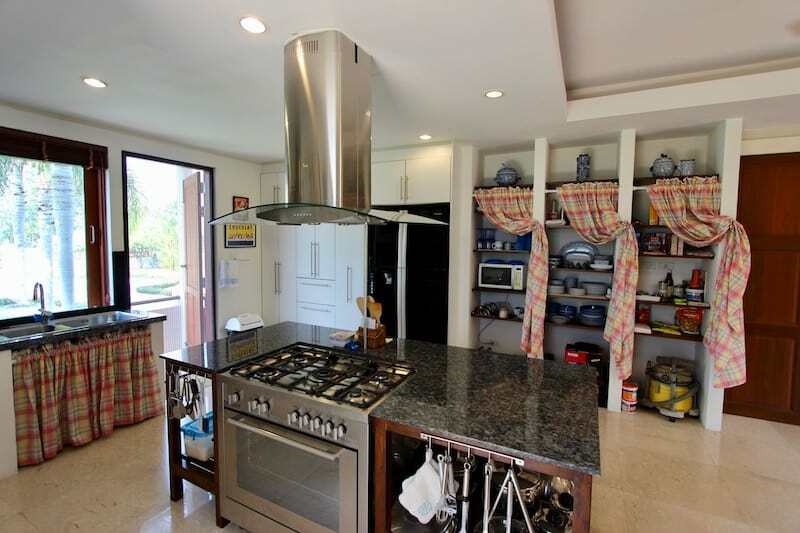 The current sellers have improved the home and added many great features, including accordion-style, sliding screen doors throughout; a new, hard-wired alarm system with control panels upstairs and downstairs; new CCTV system with exterior cameras; automated entrance gate; remodeled kitchen; and outdoor living areas and landscaping. 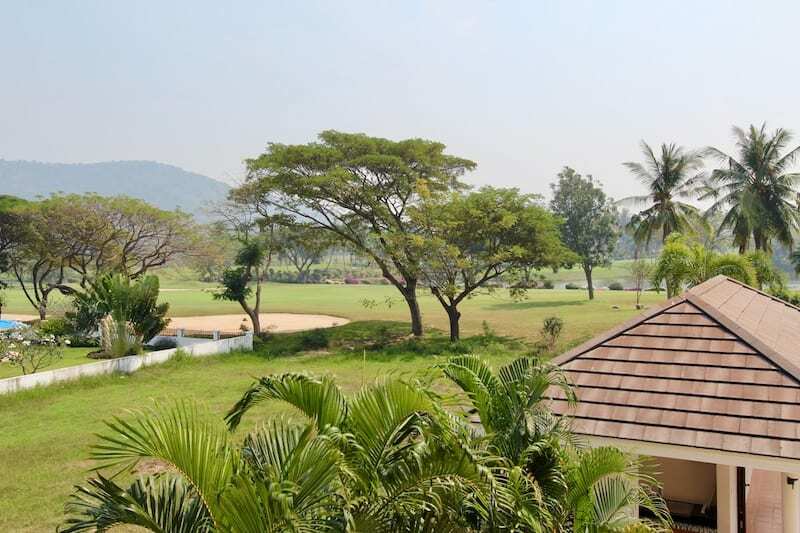 Included in the sale is a lifetime, family golf membership to Palm Hills, one of the most prestigious golf courses in the Hua Hin area. 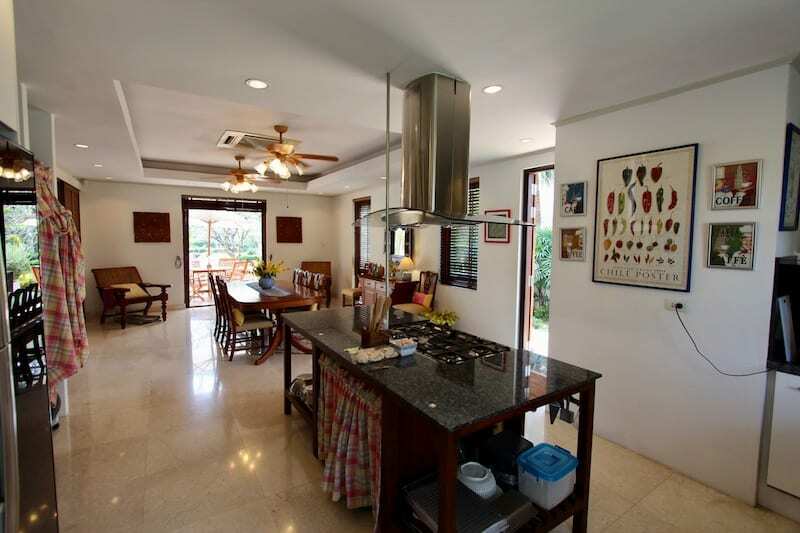 The home is sold fully furnished (minus seller’s personal items) with many Teak furniture pieces, decorations, kitchen equipment and household goods. 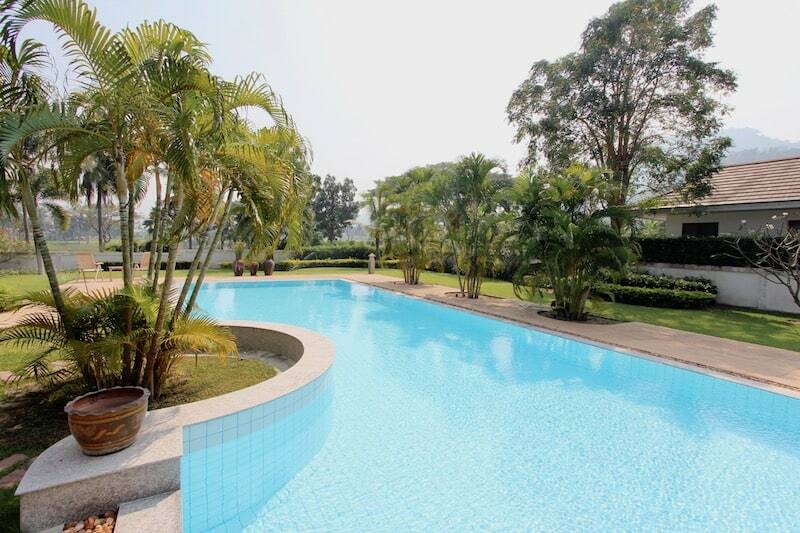 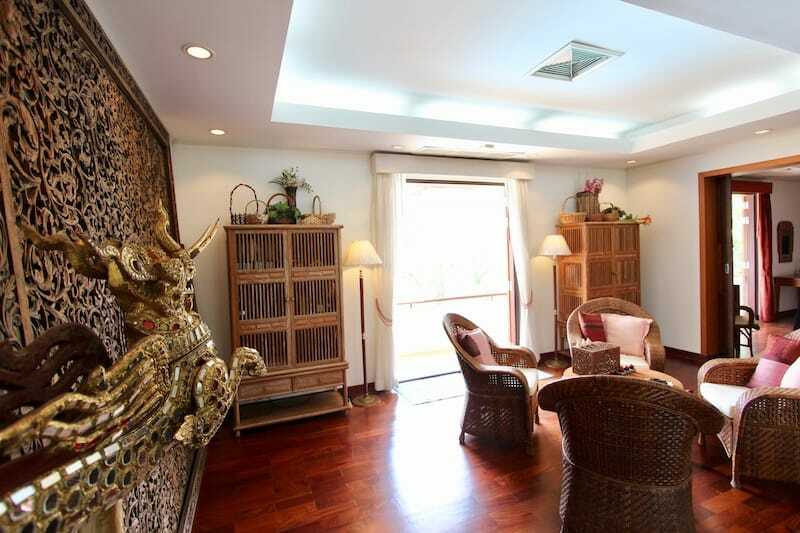 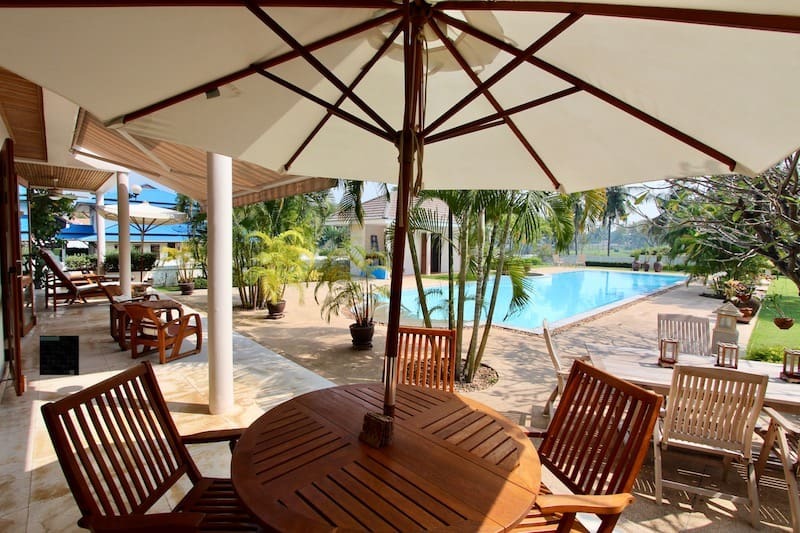 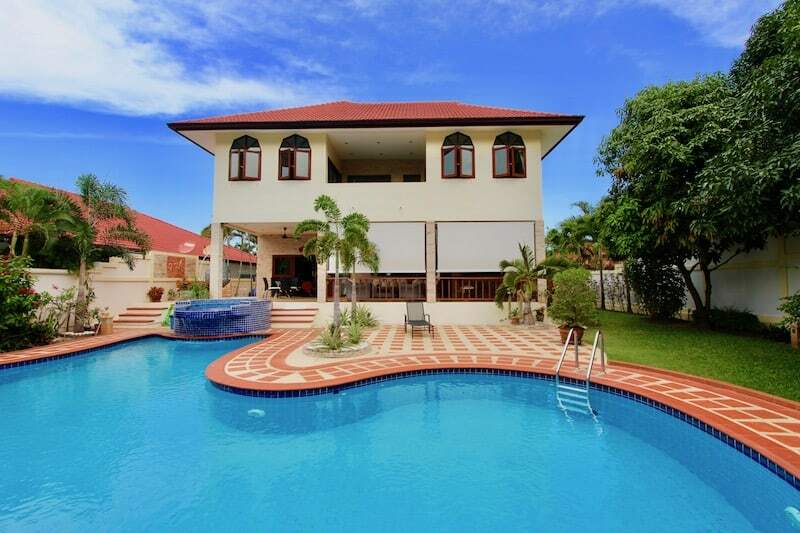 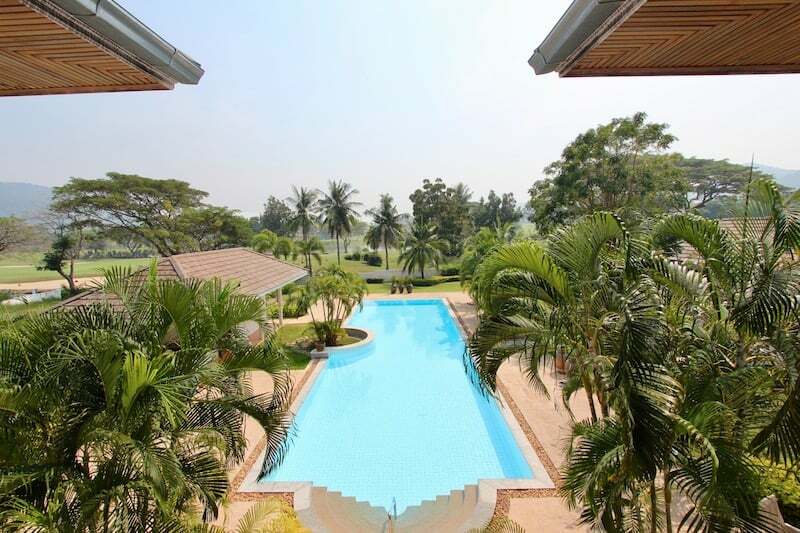 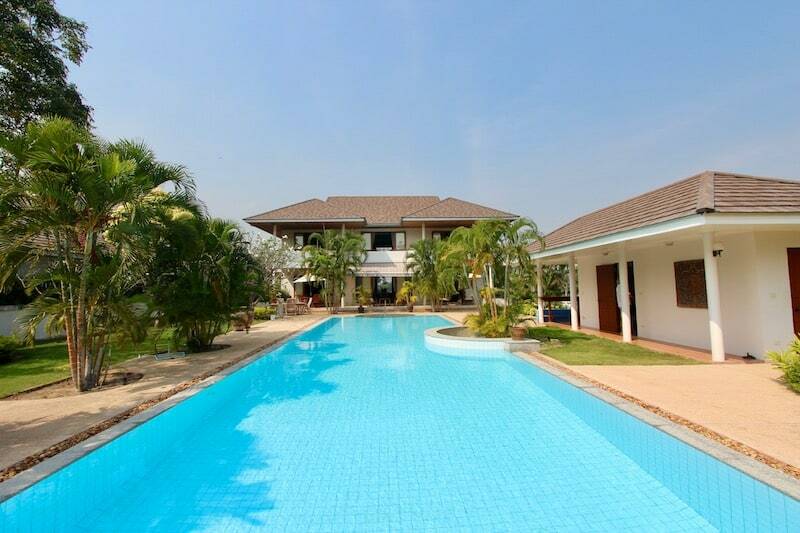 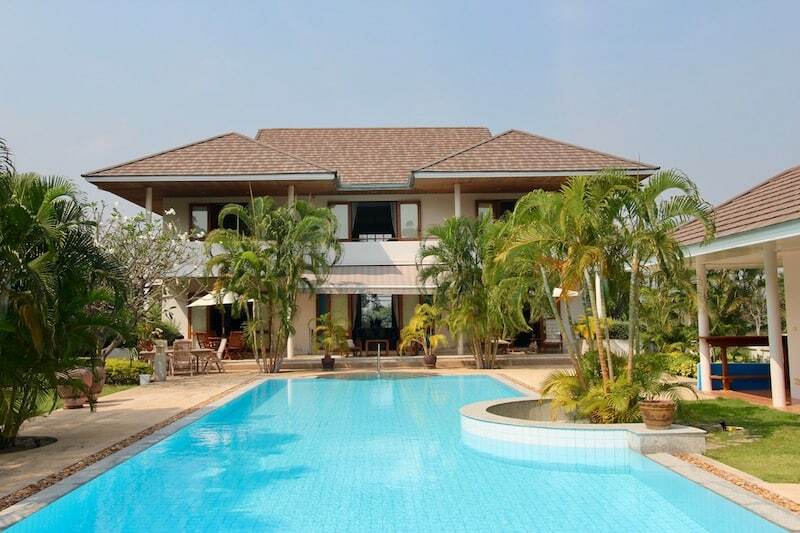 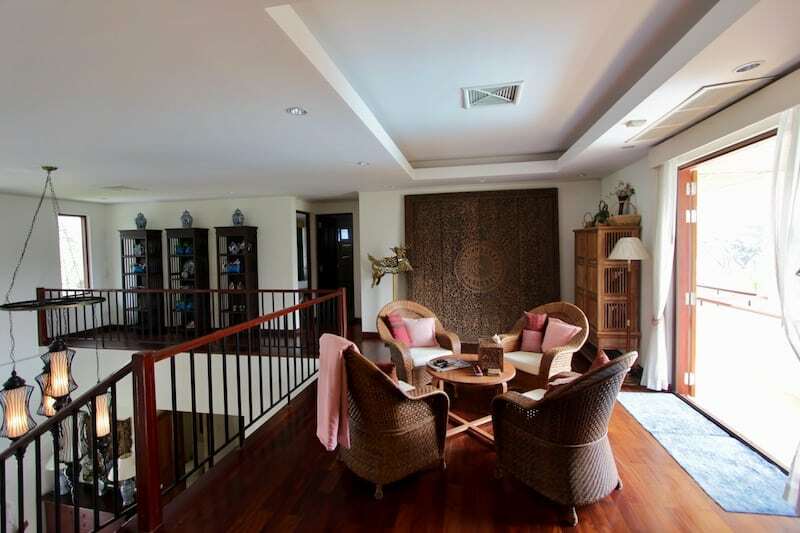 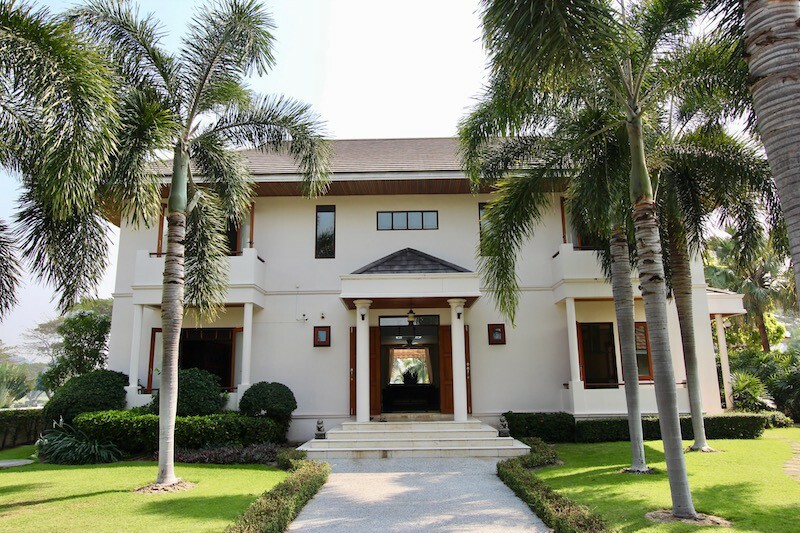 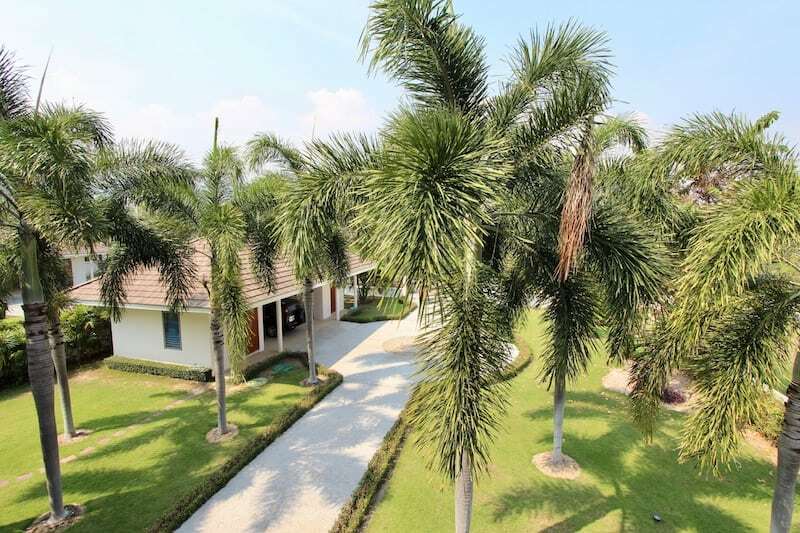 For more information and to schedule a viewing of this impressive Palm Hills mansion for sale in Hua Hin, please contact Executive Homes Hua Hin at +66(0)85.264.2158.